Gym clubs and groups of 10 or more order here or contact Kelsie at 502.690.9029 for discount offers. 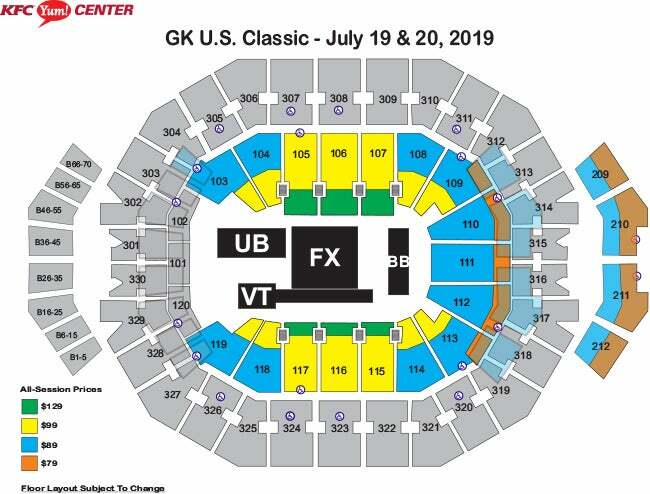 On July 19 & 20, 2019, the GK U.S. Classic will make its first appearance at the KFC Yum Center in Louisville, Ky. 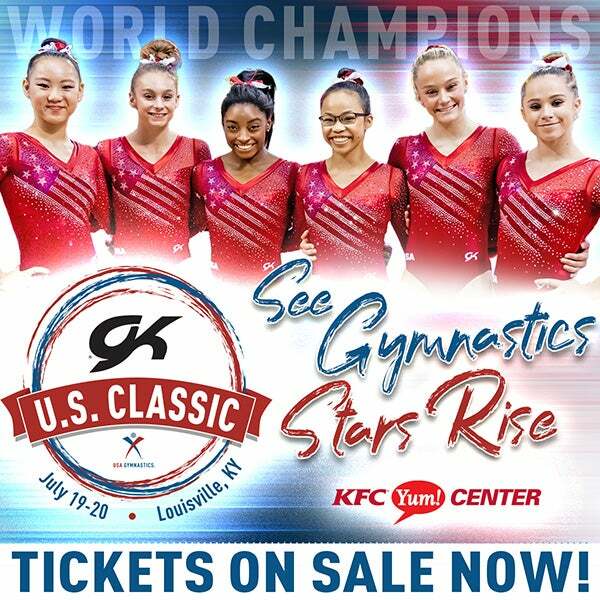 The GK U.S. Classic features athletes competing on the junior and senior levels and is the last opportunity for female gymnasts to qualify for the U.S. Championships, the national championships for men’s and women’s gymnastics. Gymnasts who have already qualified to nationals use the GK U.S. Classic as a final tune-up for the U.S. Championships. 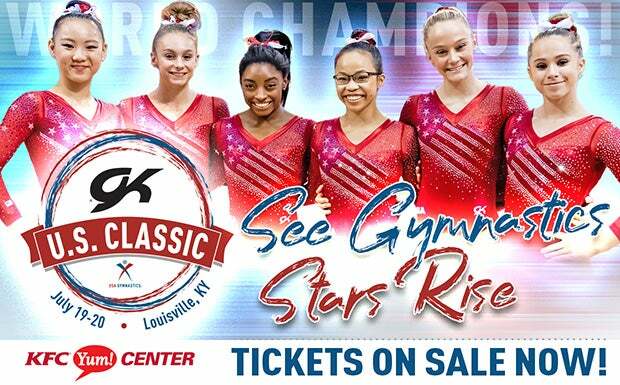 In addition, the GK Hopes Championships, which features young, aspiring female gymnasts who are just below the elite level, is held the day before the GK U.S. Classic. All-session tickets that include both the GK U.S. Classic and GK Hopes Championships are on sale now.